As two friends and I hiked back from a trip to a remote mountain lake, the sun set and the stars came out in all their brilliance. 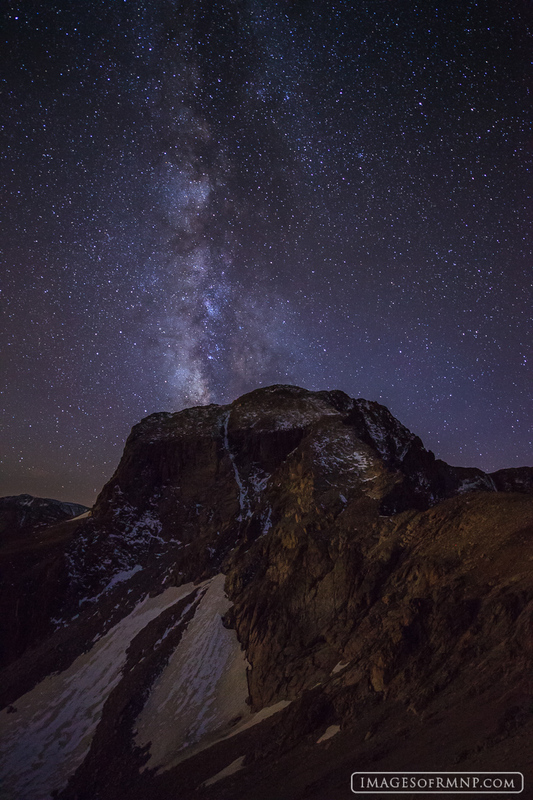 As we made our way down from the Continental Divide we stopped and looked with wonder as the Milky Way seemed to emanate from the top of Mount Alice. The distant lights of the Front Range provided enough light on the peak to perfectly illuminate this spectacular scene. Photo © copyright by Erik Stensland.